They don't wear yellow, but Eibar found a way to stretch Real Madrid's bad form to a 4th consecutive draw in all competitions, this time with a 1-1 tie for La Liga at the Santiago Bernabéu. The Merengues struggled throughout the entire game and just like in previous weeks, their finishing and defending was quite poor. The visitors were the first to draw blood in the first half, when Fran Risco was granted enough space to finish off from a free header. 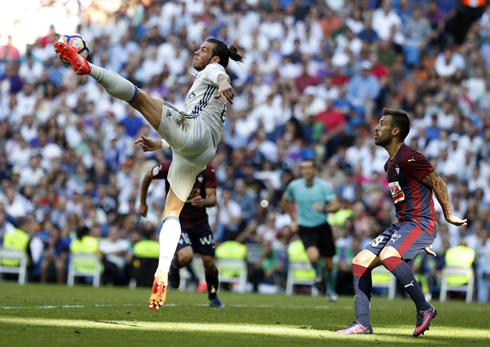 Madrid reacted soon after, with Bale also scoring from a header following a great assist from Cristiano Ronaldo on the left. Surprisingly, Zinedine Zidane's men failed to find the back of the net in the remaining of the game and dropped another 2 valuable points in the title race. Another game and another draw, but it's hard to really point fingersin this game. 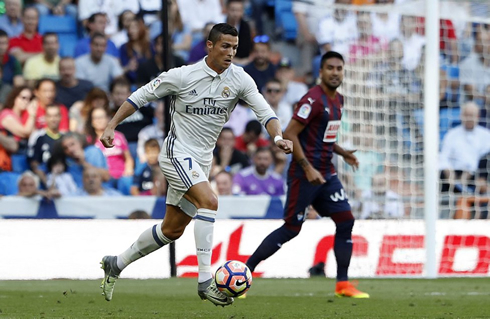 Real Madrid played well for the first part, but they just couldn't break down a determined Eibar side that frustrated Los Blancos. There were a lot of changes in this match. With the news of Modric's injury, Isco was brought into the starting lineup alongside Kroos and Kovacic. 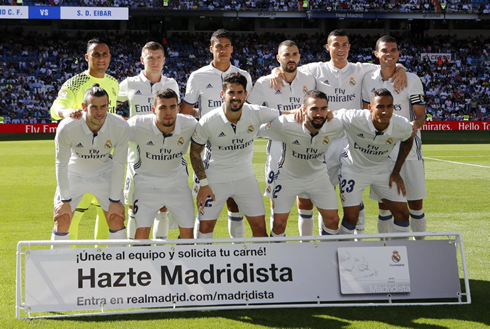 Pepe and Varane were given a run out at the back, as captain Sergio Ramos was rested as well. Danilo deputized again at left-back. Real Madrid seemingly can't win a game at the moment, the finishing in front of goal is poor and by all accounts, the BBC seems to have gone a bit stale, especially Benzema, who looks woefully of the pace. Eibar started well, getting a surprising goal early in the first half. Rising high to meet the ball after Pepe slightly misjudged the flight and Fran Rico sent his header down into the ground and past Keylor Navas. Real Madrid upped the ante immediately, looking for a quick equaliser. And they got it from the head of Gareth Bale just a few minutes later. A lively looking Ronaldo dribbled right by his defender on the wing, just before playing a perfectly placed cross to the Welshman. And there it was, 1-1 at the Bernabéu. Unfortunately that would be it. Madrid would try again and again in the second half, but they would continue to find it difficult to hit the back of the net. It's becoming a little alarming, Madrid's inability to finish in front of goal. In fact, the upcoming international break may be good, as the players can hopefully recharge and come back anew. Cristiano Ronaldo next game is a World Cup qualifier for Portugal on October 7 of 2016, against Andorra. You can watch Juventus live stream, Portugal vs Andorra, Italy vs Spain, Ireland vs Georgia, Austria vs Wales, and Peru vs Argentina, all matches provided from our streaming game pages.